Pacific Power Group (PPG) is pleased to announce a new addition to our Marine Division. Our organization has been seeking out the right leader to help expand our commitment to shareholders, employees, and customers. After a lengthy search, Doug Schwedland has joined the PPG team as Vice President, Marine as of December. Doug’s background is an excellent fit for PPG, having worked for our key partner MTU, and he brings years of direct experience in the marine and power generation business. Early in his career he worked with diverse partners, beginning with Volvo Penta in Sweden, followed by a year in residence at MTU in Germany. After spending nearly 10 years in sales, Doug acquired a passion for working with the distribution network to bring together entrepreneurial spirit and corporate strategy to enhance businesses dedicated to retaining both. Doug’s work with distribution provided the opportunity to oversee and manage change with every assignment, often working to integrate sales and service networks between multiple manufacturers. 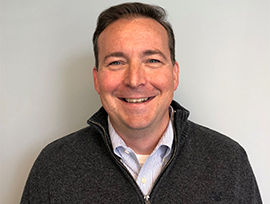 Doug started as a Marine Sales Representative for Marine DDC, and worked up through Sales Operations and Management to become Regional Director of North America for Tognum America. He served in a dual role as CEO of MTU Middle East FZE and Business Development Director for Middle East, Africa and Central Asia while living in Dubai. Doug also served on the Board of Directors for Royce Power Systems company‐owned subsidiaries in Turkey and South Africa. Most recently, Doug was the CEO of EPIX, a Weir and MTU company dedicated to bringing complete power systems to the Pressure Pumping industry. Doug will work out of the Kent facility assisting with leadership, management, and expansion of the marine business in all PPG operations. We welcome him and are confident he has the background and skills to help continue our growth objectives.